This is the difference between what the consumer pays and what he would have been willing to pay. For example: If you would be willing to pay £50 for a ticket to see the F. A. Cup final, but you can buy a ticket for £40. 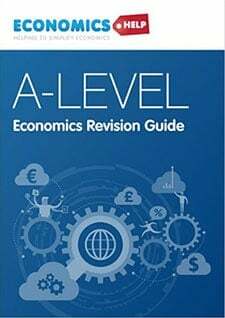 In this case, your consumer surplus is £10. This is the difference between the price a firm receives and the price it would be willing to sell it at. 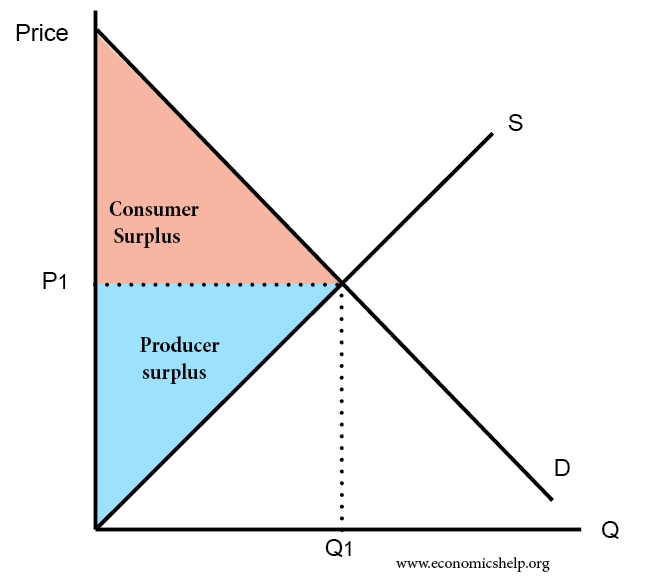 If a firm would sell a good at £4, but the market price is £7, the producer surplus is £3. 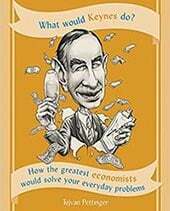 If demand is price inelastic, then there is a bigger gap between the price consumers are willing to pay and the price they actually pay. 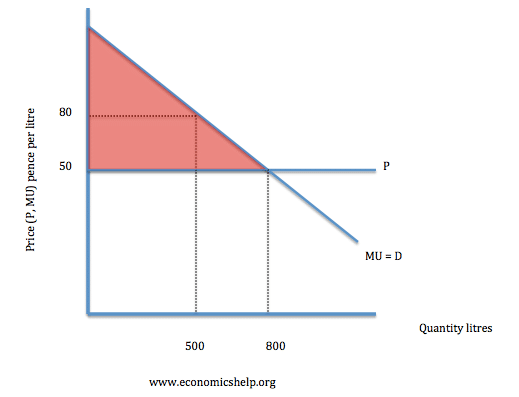 The demand curve shows the maximum price that a consumer would have paid. 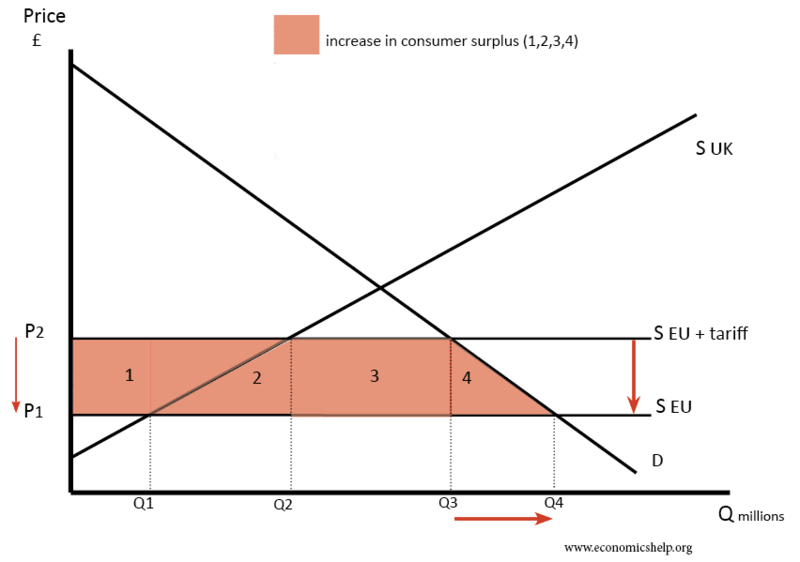 Consumer surplus is the area between the demand curve and the market price. 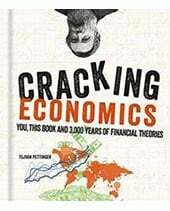 Price Discrimination is an attempt to extract consumer surplus by setting. The demand curve illustrates the marginal utility a consumer gets from consuming a product. 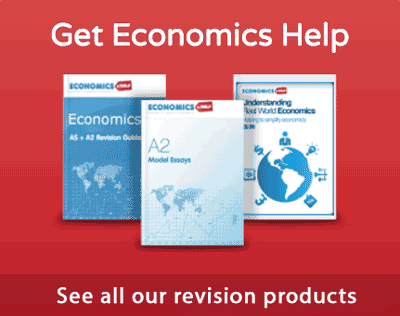 At quantity 500 litres, the marginal utility is £0.80 – which indicates the marginal utility is 80p. 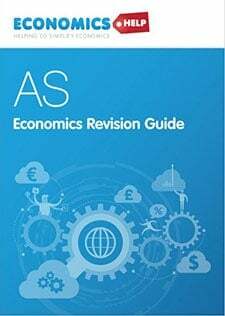 However, with a price of 50p, the consumer surplus is the difference. If tariffs are cut, then we can import at S Eu (P1) – a lower price than P2. However, domestic producers see a decline in producer surplus. WIth tariffs, we used to buy Q2 from domestic producers. But, now we only buy Q1 at price P1. 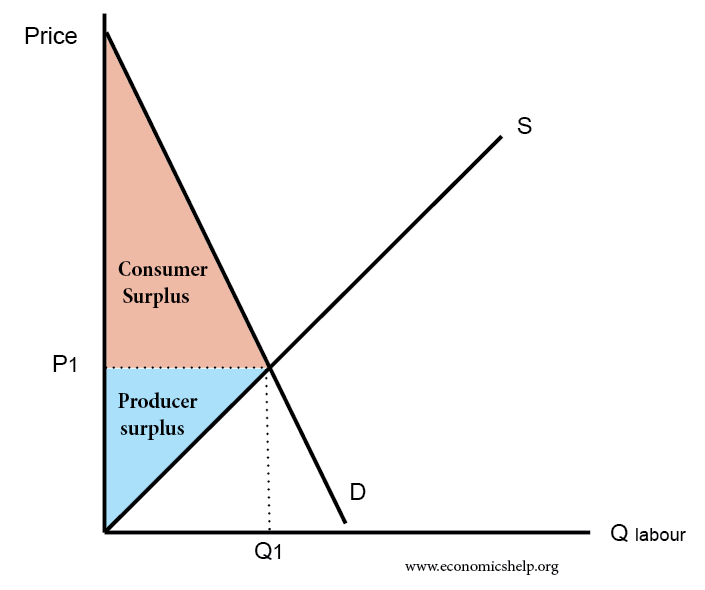 So area 1 represents the decline in producer surplus.